Most business owners realise all too well just how much their energy bills can eat up their profits each month and year. The cost of heating and providing a retail outlet with a reliable stream of electricity can be difficult, but our comparison service for shops helps to find the best tariff at the best prices. Whether it is lighting the main area of a shop or powering equipment and appliances, it all costs money in the end. But a lot of the money that retail businesses spend on their energy bills can be saved and used for other important things. Just a 20 percent reduction in energy costs is equivalent to a 5 percent increase in sales, making it more difficult for your retail business to reach the breakeven point. It is important to keep in mind that there are a number of ways to begin reducing the amount your business spends on energy costs each month. The fact is that a lot of shop owners are paying far too much for their monthly energy bills, and they don’t realize how many options there are when it comes to saving money on them. Simply switching to another energy provider can save the average retail business owner in the UK quite a bit of money on a regular basis. Here at Business Electric, we realise just how crucial it is for businesses to save money on their energy costs, and we work with a variety of different ones to find the very best deal to match their specific needs. Our team of experts works hard to ensure that our clients get the most competitive energy rates on the market so they will have more money for other important business expenses. While it’s true that switching your energy provider can save you a lot of money on your monthly bills, you will also be able to save money by changing the way you use your lighting, heating and electrical equipment. Motion-activated lights can help reduce energy costs, as they turn off automatically if nobody is currently in the room. These can be used in places that are used infrequently, such as corridors or toilet areas. Replace the current light bulbs in your shop with more energy-efficient ones that will last longer and therefore save you money. CFL bulbs use 75 percent less electricity than traditional ones, so you will need to keep that in mind. Installing solar panels is one of the best ways to save energy for your retail business. By doing this you will save money on your energy bills while doing your small part for the environment. Keeping the temperature of your office or shop even one degree down during the winter can significantly reduce the amount of power your retail outlet consumes on a regular basis. If you have an old furnace or other type of heating equipment in your shop, you might want to consider getting it replaced with a newer, more energy-efficient model. By doing this you will save quite a bit of money over time. 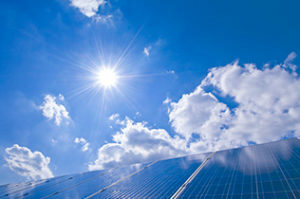 Paying to have solar panels installed can also drastically reduce your shop heating bill and save you money over time. Instruct your employees to use equipment that uses electricity in a more efficient way so as to avoid paying more than you have to each month. This can be as simple as turning computers and other electronics off when they are not in use or overnight. Try not using standby mode with your shop’s computers whenever possible. 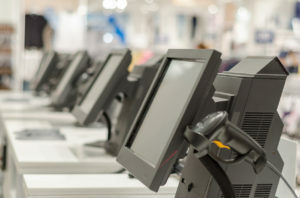 Even though the computers might be unused, they are still continuing to draw energy that your retail business needs to pay for! When you are going about looking for new equipment to buy, make sure that you read the labels to make sure it is energy-efficient. Whether it is a new refrigerator or dishwasher for the kitchen area of your shop, you will only want to buy appliances that can save you money on your energy bills. As you can see, you can easily cut the cost of your retail shop’s business electric bills. Knowing that we save our customers an average of 60% on their energy bills can also allow you to rest assured knowing that breakeven isn’t far away! Our business electric team are on hand to help! Our business electric team will happil-y contact you to discuss finding you a cheaper tariff.